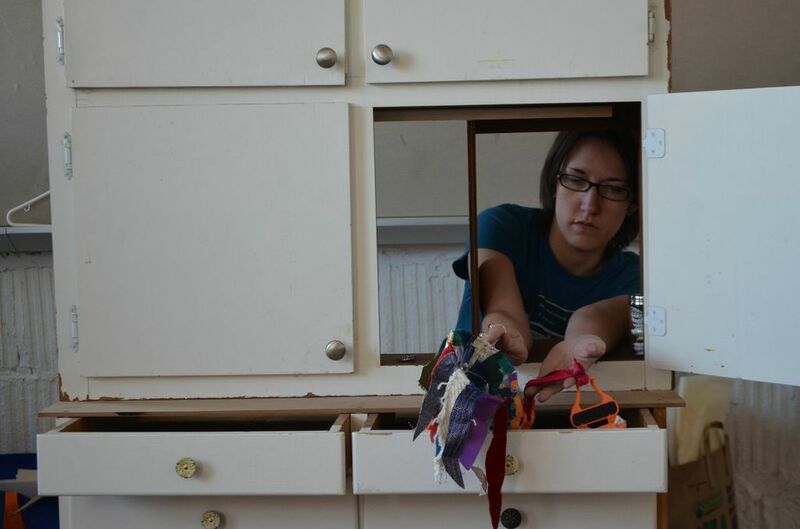 Last in our series of short interviews with the puppeteers of The Amazing and Marvelous Cabinets of Kismet. All photos are by Sarah Gingold. Cecilia operating the Lightbulb puppet. 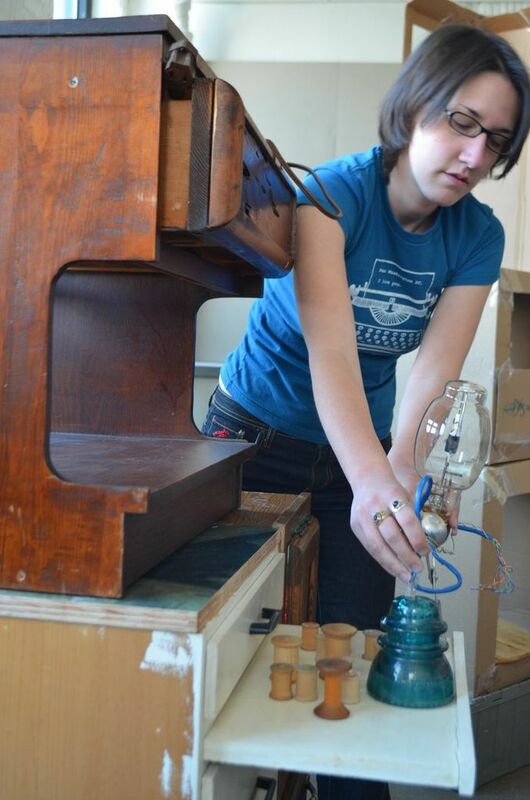 Bio: Cecilia Cackley has been experimenting with puppets for more than ten years. As a puppeteer, she has worked with GALA Hispanic Theatre, the O’Neill Puppetry Festival, the Avignon Off and the Source Theater Festival. Cecilia has directed for the Capital Fringe Festival, Young Playwright’s Theater, Rorschach Theatre and The Inkwell. She taught third grade in the public schools for six years and currently works as a teaching artist in Washington DC. Cecilia is a proud company member of GALA Hispanic Theatre and Young Playwright’s Theater. My mother actually collects puppets as art, so they were always around the house and I could play with them. I remember making up little shows with marionettes from Mexico when I was 8 or 9. I started taking puppet workshops when I was about 14 and when I got to college I tried to find ways of incorporating them into plays I wrote or directed. I made a puppet of a giant mouth out of poly-foam when I was 14 and part of a teen puppet troupe. It was part of a set of puppets that formed a massive face when we all stood together. We created it for an outside community event and I got to run through the crowd asking “Where is my nose? Where is my eye?” It was lots of fun. I’ve been getting more and more interested in marionettes lately, so I really like the paperfish, who hang from multiple strings. I’ve never seen a marionette made from paper before, so it’s been fun to figure out how to attach them and make them move. In general, I love all the paper puppets; they are so quiet and calm. This entry was posted in Inspiration, Performances and tagged Cabinets of Kismet, cast member, Cecilia Cackley, inspiration, performance, puppet characters, puppeteer, Washington DC by ccbooks. Bookmark the permalink.